The biggest lessons I've learned about investing have come from the biggest mistakes I've made. I bought a pre-construction condo unit in a popular Toronto neighbourhood. I forked over a 20 per cent deposit to make the purchase. That was four years ago, the property still hasn't been built so I can't sell it or rent it out. The biggest lessons I've learned about investing have come from the biggest mistakes I've made. By sharing my blunders with you I hope you'll be a more savvy investor than my first attempt at it. In many parts of the country, condos are the only housing class left that are relatively affordable. Stats are released monthly by number-crunching, smarty-pants that compare the average price of housing classes to average household incomes (it's called the Affordability Index). 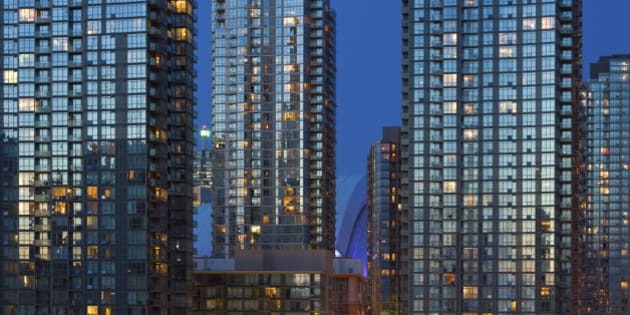 Since real estate prices have been soaring across the country, these stats are suggesting that condos have become the only affordable access to the real estate market. This has made condos very popular for first-time investors. I jumped on that bandwagon four years ago and would never do it again. I bought a pre-construction condo unit in a popular Toronto neighbourhood. I went to a VIP event, a fancy soiree held by the builder to introduce his new condo development to realtors. The food was off-the-hook. It's also the place to buy condo units at discount prices before they are released to the public, at higher prices. Sound like a great deal? I thought so too...so I bought it. It also means I forked over a 20 per cent deposit to make the purchase. That was four years ago, the property still hasn't been built so I can't sell it or rent it out. In other words, I haven't made a single penny from it. Which kind of defeats the purpose because there's only one reason to invest. You invest to make money. Now people may say that once the condo is built I'll be able to make money, but here's the kicker: When it comes to pre-construction condos you don't know what your expenses will be, and if you don't know your total expenses how can you really know that you'll make money? Maintenance fees: In the pre-construction world, the builder gives you a low-ball estimate of your maintenance fees. The more accurate estimation you find out within the first year of occupancy when the management increases fees on you. Property taxes: The property takes a while to be assessed so your first tax bill comes in about one and a half to two years after you've moved in (yes, it's a hefty bill). It's not until you know how much your maintenance and property tax bills amount to that you really get a sense of whether the unit is a good investment. Realistically as an investor you need to know how much (if anything) you'll be profiting. Otherwise, you're playing a guessing game. The experience has made me a better investor because its helped me learn the difference between speculating and investing. Speculating is making a guess, even if very educated that you'll make money at some point in the future. Investing is treating your money like a business and making profits today. Would you buy a business for the promise that maybe you'll make money in four years time? If I could turn back the clocks by four years, I would have still bought real estate, even a condo. But I would've bought an existing condo where I could calculate my expenses, rent it out right away, and start making cash flow. Had I done that, I would have been collecting rent and building equity on the property over the past four years. Had I done that, by now I probably could've bought another property with the built up equity. That's why these days my strategy is: Invest for cash flow. When you invest for cash flow, you start making money today. The rental income you collect from the tenant is used to pay off the mortgage (a.k.a. building equity) while the leftover profits can be accumulated towards your next investment. Have you ever watched the TV show Shark Tank? If yes, then you know that the judges won't even look at a business, no matter how great the idea is, if its not making income. If you haven't seen the show the main point to take away is no profits, no investing. If you are going to invest, then treat your money like a business and look for cash flow opportunities that will make your money grow, today. What are the biggest money lessons that you've learned?